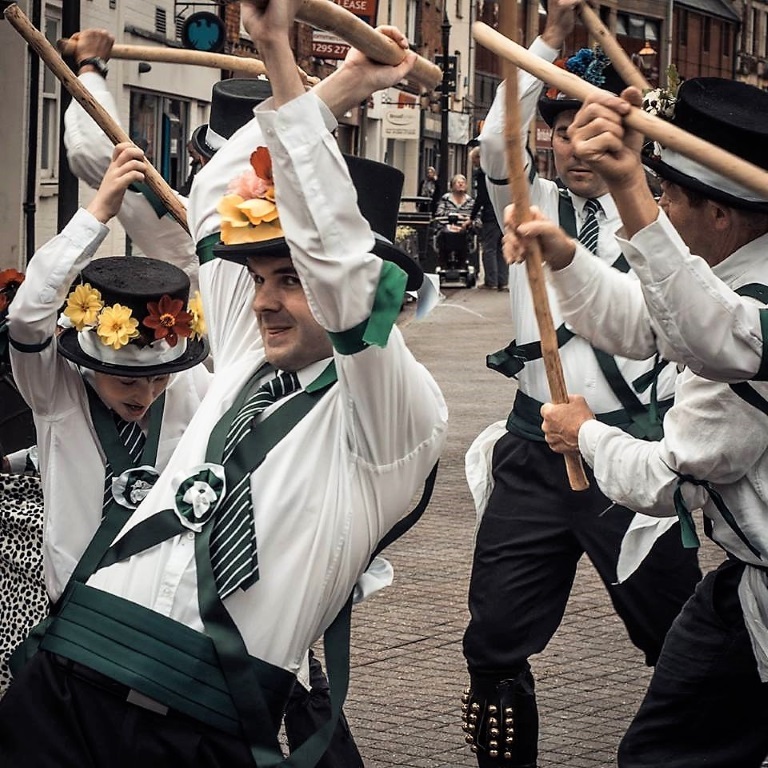 AVMM were very proud to be the only Cotswold side performing at this year’s Hobby Horse Festival, which was on a smaller scale than in previous years. This was due to the event being condensed into a single day as a result of the Banbury Canal Festival being arranged on the Sunday. Organiser, Verna Wass, expressed her appreciation to the side for supporting the event and was impressed by the levels of fitness displayed, which enabled our dancers to perform with barely a break over four and a half hours. Our horses, Charlie and Percy delighted the crowds with their antics, performing alongside a variety of other horses and the odd dragon and unicorn, most of which came from the local area. 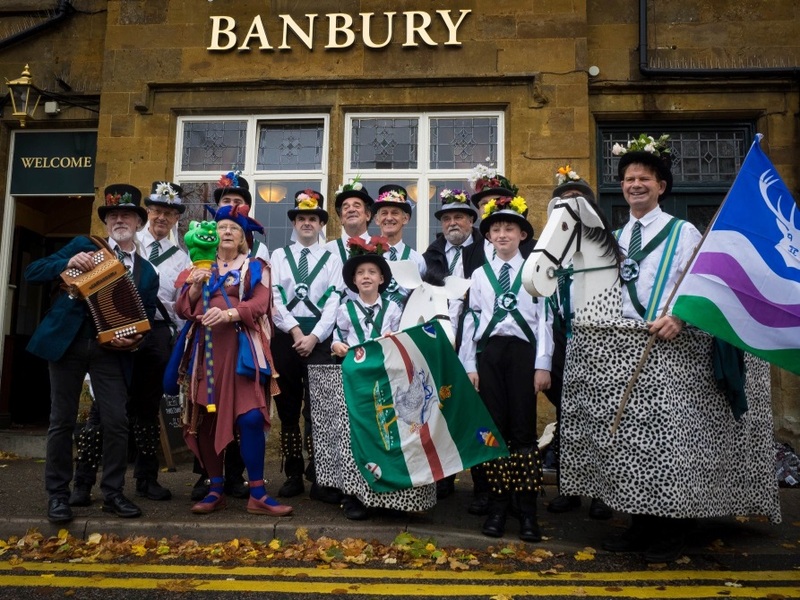 With ten dancers and two musicians performing, we were able to demonstrate the full range of Adderbury dances and provide excellent entertainment to fans of local traditions, visitors to the Folk Festival and bemused shoppers alike. Once again the team acquitted themselves extremely well: I have been so proud of the fact that the side has maintained such a high standard of performance throughout a long season and, in my view, are dancing as impressively as at any time during all the years that I have been a member of this great side. Our youngest dancers, Dylan and Theo, contributed fully to the entertainment and drew many favourable comments from the crowds. The fact that the side has been dancing so tightly is due in part to the experience gained by the dancers from our two successful tours, for which Bagman and organiser Donald must be thanked. In addition, I would like to thank all today’s performers, most of whom have joined the team in the last three years, for all their hard work in practice before and during the current season. Our thanks to Verna Wass, the White Horse for providing an excellent sandwich luncheon and to Neil Simmons, Modern Parlance Photos for his lovely photos.